A lesson about where I now live! From time to time, I like to get personal on my blog. We are sharing and we should also share our selves as teachers when we teach. You’ll find a number of posts about my life and times on this blog. So in this spirit, here is a video lesson for you about where I currently live – Guatemala! It was a big decision to uproot the family, leave my comfortable professor job training teachers in Canada, jump ship and land down here. So glad I did! I’m learning Spanish, learning so much more again about the process of language learning and what students go through. I’ve met so many wonderful friends here and I’m challenging myself to give more, care more and see my life through different eyes. 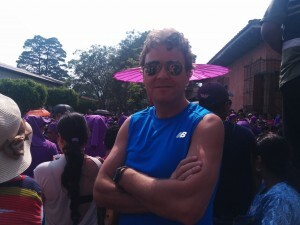 Guatemala is allowing me to do that and nurture the poetic spirit in me. Enjoy this lesson. 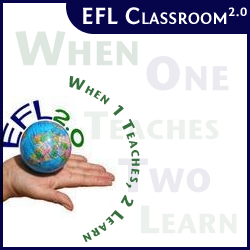 Get the full set of resources and video download as a member of EFL Classroom 2.0. 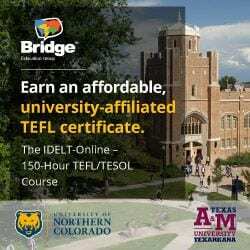 My home for over a decade sharing hundreds of thousands of quality lessons and ideas with ELTs. Geography and travel are topics that really motivate students. This lesson is about Guatemala but teachers can do the same kind of lesson for any country in the world. Just use a similar video from the Stratfor Youtube channel and you are set. 1. Preparing. Write the word Guatemala on the board and elicit student responses. 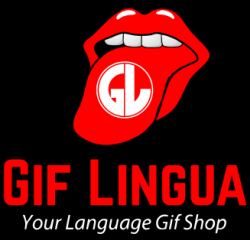 What are the key words associated with Guatemala? 2. Watch the video (without the handout). After, ask the students the questions on the worksheet or your own. 3. Watch the video again. Have students in small groups answer the questions on the worksheet and also try to fill in the basic facts about Guatemala. 4. Finally, ask students to read and fill in the cloze listening activity. Then play, pausing so students can fill in. Take up. See a list of all the 200+ video based lessons and resources for EFL Classroom 2.0 members HERE.